TAHOE WEEKLY is published weekly throughout the summer and biweekly the rest of the year, with occassional extra issues at holiday times by Range of Light Media Group, Inc. Look for new issues on Thursdays. Subscribe to the free digital edition at issuu.com/ TheTahoeWeekly. 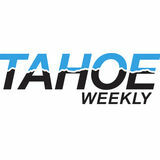 Visit TheTahoeWeekly.com. TAHOE WEEKLY, est. 1982, ©2007. Reproduction in whole or in part without publisher’s express permission is prohibited. Contributions welcome via e-mail. The Weekly is not responsible for unsolicited submissions. Member: North Lake Tahoe Resort Association, North Tahoe Business Association, Incline Community Business Association, Truckee Donner Chamber of Commerce, Tahoe City Downtown Association, Truckee Downtown Merchants Association, Tahoe South Chamber of Commerce and Alpine County Chamber of Commerce. Printed on recycled paper with soy-based inks. Please recycle your copy. … the mighty Sierra, miles in height, and so gloriously colored and so radiant, it seemed not clothed with light but wholly composed of it, like the wall of some celestial city... Then it seemed to me that the Sierra should be called, not the Nevada or Snowy Range, but the Range of Light. What a difference a few weeks make. The snow is still coming, but spring has brought with it bright, sunny, fun-filled days. The conditions are epic, the snowpack is so deep it’s mindboggling, the days are longer, and there’s lots of spring fun ahead. So much so that we put together our picks for the best notto-be missed spring events for the next few weeks. You’ll need some retro gear, your spring skis and a wetsuit. Check out the details in this edition’s “Spring in Tahoe: Fun in the Sun & Snow.” Nearly every ski area in the Tahoe Sierra has extended its season, but the countdown to the end has begun. Get out there and enjoy skiing and riding this month with many of Tahoe’s resorts closing after Easter. After that, the fun continues only at Alpine Meadows, Heavenly, Mt. Rose and Squaw Valley. Lake Tahoe is the second deepest lake in the U.S. (Crater Lake in Oregon, at 1,932 feet, is the deepest), and the 11th deepest in the world. Volume: 39 trillion gallons There is enough water in Lake Tahoe to supply everyone in the United States with more than 75 gallons of water per day for 5 years. Natural rim: 6,223’ Lake Tahoe sits at an average elevation of between 6,223’ and 6,229.1’. The top 6.1’ of water is controlled by the dam in Tahoe City and holds up to 744,600 acre feet of water. Size: 22 miles long, 12 miles wide Lake Tahoe is as long as the English Channel is wide. Shoreline: 72 miles Lake Tahoe has a surface area of 191 square miles. If Lake Tahoe were emptied, it would submerge California under 15 inches of water. 7,000 and 15,000 years ago, a four-mile segment of the West Shore collapsed into the Lake causing a massive submerged debris avalanche, widening the Lake by three miles and creating McKinney Bay.1 The Tahoe Basin is mostly granite, with little topsoil, and therefore few nutrients have washed into the lake to promote the growth of algae and other organisms that make water murky. As well, 40 percent of the precipitation falling into the Tahoe Basin lands directly on the lake. The remaining precipitation drains through the decomposed granite soil found in marshes and meadows, creating a good filtering system for water. Urbanization of the Tahoe Basin has eliminated 75 percent of its marshes, 50 percent of its meadows and 35 percent of its steam zone habitats. About 85 percent of all wildlife in the Tahoe Basin use these habitats. About the lake Lake Tahoe is located in the states of California and Nevada, with two-thirds in California. It is fed by 63 streams and two hot springs. The Truckee River is Tahoe’s only outlet and flows from the dam in Tahoe City east through Reno and eventually drains into Pyramid Lake in the Nevada desert. However, water releases are not permitted when the lake surface level falls below the natural rim at 6,223.’ The lowest lake level on record (measured since 1900) was 6,220.26’ on Nov. 30, 1992. The Lake of the Sky appears blue in color as other colors in the light spectrum are absorbed and blue light is scattered back. things, the clarity of Lake Tahoe. Clarity has been measured since 1968 and was first recorded at 102.4’. The waters of Lake Tahoe were clear to an average depth of 59.7 in 2017. The lowest average depth on record was 64.1’ in 1997. Lake Tahoe is losing clarity because of algae growth fueled by nitrogen and phosphorus. Learn more: Visit the Tahoe Science Center in Incline Village or tahoesciencecenter.org. Sources: Tahoe Environmental Research Center, U.S. Geological Survey, U.S. Forest Service, “Tahoe Place Names” and David Antonucci (denoted by 1). Lake Tahoe’s only island, home to an old tea house. The Summit, just west of Truckee, holds the record for the United States’ snowiest April in 1880 when a storm dumped 4’ of snow in 24 hours. Drive through the neck of an old volcano. Spring in Tahoe brings with retro duds, pond skims, worldclass athletes and general shenanigans with some of the season’s best on-mountain events. We’ve rounded up our picks for not-to-be-missed events this spring to watch and to join in the fun. Visit TheTahoeWeekly.com and click on Events Calendar for more spring happenings. Heavenly Mountain Resort is extending its winter ski and snowboard season again. The resort is adding three additional weekends of spring skiing with a new closing date of May 27. Heavenly joins Alpine Meadows and Mt. Rose extending the season into May, with Squaw Valley open until July 7. Most Tahoe ski resorts have extended their seasons to remain open until April 21 due to the record-breaking snowfall this ski season. For a complete list of resort closures, visit TheTahoeWeekly.com; click on the Out & About menu. Me xican-American War & St. Patrick’s B a t t a l i o n | P a r t I I I part of a fighting unit that included their countrymen and other Europeans who were legal residents in Mexico to form what they initially called the Foreign Legion. Because this first phase of resistance to the American invasion was heavily dominated by Irishmen, Mexicans called the unit Colorados (Redheads). 3:00pm to 3:30pm Fairway Community Ctr. 330 Fairway Dr.
3:00pm to 3:30pm Community House 265 Bear St.
3:30pm to 4pm Sierra Senior Center 10040 Estates Dr.
3:00pm to 3:30pm St. Patrick’s Church 341 Village Blvd. TheTahoeWeekly.com Read Parts I & II. Click on History under the Explore Tahoe menu. The Mexican army had barricaded the bridge over the Churubusco River with breastworks behind which they positioned cannons, mortars and riflemen. In the monastery itself, members of the San Patricios watched from the narrow windows embedded in the adobe structure’s 12-foot high walls. Directly in front of the Churubusco Monastery, John Riley’s men had constructed a fieldwork that protected their four 8-pound cannons. As Riley and the Mexican troops readied their positions, they watched thousands of fellow soldiers fleeing up the road past them. They had a pretty good idea what was chasing them. Stay tuned for more in the next edition or at TheTahoeWeekly.com.  Tahoe historian Mark McLaughlin is a nationally published author and professional speaker. His award-winning books are available at local stores or at thestormking.com. You may reach him at mark@ thestormking.com. Check out his blog at tahoenuggets.com or read more at TheTahoeWeekly.com. Click on History under the Explore Tahoe tab. CLOCKWISE FROM LEFT: Anikin Allen tubes in the Truckee River that is part of the Truckee Connects exhibit; Anikin Allen in Da Vinci’s Corner; Anikin and Michelle Allen explore the inventions in Da Vinci’s Corner. We accept Visa or Mastercard. Reservations required. Morning flights only for best weather conditions. The earlier, the better. All flights are weather permitting. 48 hour cancellation policy. Flights are from Carson City Airport. Coupon good for the entire party. Limit 1 free game per person per visit. Not valid with other offers. Not valid for league or tournament play. Snow Play Area on Fairway Blvd., next to the Chateau, on the driving range. Bring equipment. Near the Mount Rose summit, enjoy sledding in Tahoe Meadows off Highway 431. Bring equipment. 25-yard, 8-lane indoor pool at Incline Recreation Center, swim lessons, aqua fitness, 1-meter spring diving board, inflatable slide (weekends). State park open for general snow play. Bring equipment. Parking fee. (530) 587-9437 | tahoedonner.com At Trout Creek Recreation Center. No personal sleds. Family events all season. Machine-groomed snow play area; no tubes or toboggans allowed. All ages. Call (530) 546-5995, ext. 110, to be listed in Family Fun. Preschool Story Time * Sno-park permits required. Go to ohv.parks.ca.gov/snoparks or find locations at (916) 324-1222.
ark Jusmark, owner of Truth Tattoo, has been creating beautiful art on people’s bodies for more than 18 years. His wife Anna, now a hairstylist at Coupe Sixty-One Hair Salon in Truckee, and her friend talked him into getting his first tattoo and becoming a tattoo apprentice back in Maui, Hawaii, where he was living at the time. Jusmark has been a Tahoe resident for 13 years, creating masterpieces on skin at his studio in downtown Truckee. his canvas prints; LEFT: Mark Jusmark shows his personal wrist tattoos. Find out when humans first occupied the Nevada portion of the Great Basin, the natural foods they collected and the skills they used for survival. See a reconstruction of a Great Basin cave containing evidence of past cultures and climate. Visit the Event Calendar at TheTahoeWeekly.com for a complete list of events. April 11 | 7 p.m. | Grand Sierra Resort | Reno, Nev.
APRIL 5 | FRIDAY Reno Philharmonic Orchestra Nevada Historical Society, Reno, 10 a.m. Tim Bluhm & the Preacher’s Pickers Sierra, Twin Bridges, 1-4 p.m. Live music Alpine Meadows, Olympic Valley, 2-5 p.m. Live Music Hard Rock - Hotel Lobby, Stateline, 3-6 p.m. Serina Hays Sunnyside Restaurant & Lodge, Tahoe City, 4-9 p.m. Garden Brothers Circus Reno Events Center, Reno, 4:30 p.m. Luke Stevenson Lone Eagle Grille, Incline Village, 6-10 p.m. Live Music Glen Eagles Restaurant & Lounge, Carson City, 6:30-9 p.m. Kabir Singh Reno Tahoe Comedy, Reno, 6:30-8:30 p.m. Live Music Sands Regency Casino Hotel, Reno, 7-11 p.m. Evening of Improv Comedy Brewery Arts Center, Carson City, 7-9 p.m. Nation Beat Community Arts Center, Truckee, 7-9 p.m. “Mamma Mia!” North Tahoe High School, Tahoe City, 7 p.m. Make-A-Wish Masquerade Charity Ball Tahoe Biltmore Lodge & Casino, Crystal Bay, 7-11 p.m.
APRIL 6 | SATURDAY Reno Philharmonic Orchestra Nevada Historical Society, Reno, 10 a.m. Boot Juice Sierra, Twin Bridges, 11:30 a.m.-2 p.m. Live DJ Homewood Mountain Resort, Homewood, 12 p.m. “Mamma Mia!” North Tahoe High School, Tahoe City, 1 p.m. Live Music Squaw Valley Alpine Meadows, Olympic Valley, 2-4 p.m. Live Music KT Deck, Olympic Valley, 2:30 p.m. Live Music Hard Rock - Hotel Lobby, Stateline, 3-6 p.m. Dinner Murder Mystery SureStay Plus Hotel by Best Western Reno Airport, Reno, 5:30-9 p.m. Comedy Murder Mystery Dinner Theater Gold Dust West Casino Hotel, Carson City, 5:30-9:30 p.m. Luke Stevenson Lone Eagle Grille, Incline Village, 6-10 p.m. Seckond Chaynce w/ Southern Cut Virginia St. Brewhouse, Reno, 6-11 p.m. Nick Eng The Potentialist Workshop, Reno, 6-11 p.m. Perennial Punx Spring Showcase Reno Bike Project Auxiliary Location, Reno, 6:30-11 p.m. Live Music Sands Regency Casino Hotel, Reno, 7-11 p.m. Todd Snider, Paul Thorn & James McMurtry MontBleu Resort, Stateline, 7 p.m. Rosebud’s Dance Band 2019 Brewery Arts Center, Carson City, 7-9 p.m. “Mamma Mia!” North Tahoe High School, Tahoe City, 7 p.m. Tres Noctambule Brewery Arts Center, Carson City, 7-10 p.m.
APRIL 8 | MONDAY Karaoke Polo Lounge, Reno, 7-11 p.m. Karaoke Auld Dubliner, Olympic Valley, 8 p.m. Motown on Monday The Loving Cup, Reno, 9 p.m.-3 a.m.
APRIL 10 | WEDNESDAY Ike and Martin Sugar Bowl, Norden, 3-6 p.m. Tsurunokai Verdi Community Library & Nature Center, Verdi, 4-5 p.m. Luke Stevenson Lone Eagle Grille, Incline Village, 6-10 p.m. JP Harris Virginia Street Brewhouse, Reno, 7 p.m. Wednesday Night Showcase Ceol Irish Pub, Reno, 7 p.m. Smiley Joe Wiley Silver Legacy Resort Casino, Reno, 7:30 p.m. Live Music McP’s Irish Pub, South Lake Tahoe, 8 p.m.-12 a.m. Open Mic Anything Goes Jimmy Bs, Reno, 9-11:30 p.m. Chicken Bingo w/ DJ Finger Lickin The Loving Cup, Reno, 9-11:30 p.m. Country Line Dancing/Karaoke Virginia Street Brewhouse, Reno, 9 p.m.
APRIL 13 | SATURDAY Record Store Day 2019 Sundance Books and Music, Reno, 9 a.m.-5 p.m. Live Music Squaw Valley Alpine Meadows, Olympic Valley, 2-4 p.m. Live Music KT Deck, Olympic Valley, 2:30 p.m. Live Music Hard Rock - Hotel Lobby, Stateline, 3-6 p.m. Kay - Dance The Generator, Sparks, 4-6 p.m. Toccata “St. Matthew Passion” Lutheran Church of the Good Shepherd, Reno, 4-6 p.m. Brews, Brats, and Ballet Brewery Arts Center, Carson City, 4-5:30 p.m. Skull Crack The Potentialist Workshop, Reno, 5-10 p.m. Luke Stevenson Lone Eagle Grille, Incline Village, 6-10 p.m. Thunder From Down Under Baldini’s Casino, Sparks, 6 p.m. We Predict a Riot, Preacher Cargo at Whitney Peak Hotel, Reno, 6-11:30 p.m. Live Music Sands Regency Casino Hotel, Reno, 7-11 p.m. Magic Fusion Starring Mark Kalin & Jinger The Loft, South Lake Tahoe, 7-8:15 p.m. Inaugural Sierra-at-Tahoe Competition Teams unGala MontBleu Resort, Stateline, 7-10 p.m. Live comedy Carson Nugget, Carson City, 7:30-9:30 p.m. The Rat Pack Is Back Harrah’s, Reno, 7:30 p.m. Home Free Harrah’s Lake Tahoe, Stateline, 7:30 p.m. TCT Improv Comedy Night Art Truckee, Truckee, 7:30 p.m. Smiley Joe Wiley Silver Legacy Resort Casino, Reno, 7:30 p.m. One Button Suit Mountain Music Parlor, Reno, 7:30-9:30 p.m. Chris Costa Tahoe Biltmore Lodge & Casino, Crystal Bay, 8 p.m.
Steven Wright Silver Legacy Resort Casino, Reno, 8-10:30 p.m. Country “Ladies Night” The Saint, Reno, 8 p.m. “Alice in Wonderland” Pioneer Center for the Performing Arts, Reno, 8-10 p.m. Saved By The 90s Virginia St. Brewhouse, Reno, 8-11 p.m. Thunder From Down Under Baldini’s Casino, Sparks, 8:30-10 p.m. Live Music McP’s Irish Pub, South Lake Tahoe, 9 p.m.-1 a.m. Magic Fusion Starring Mark Kalin & Jinger The Loft, South Lake Tahoe, 9-10:15 p.m. Live Music Ceol Irish Pub, Reno, 9 p.m. The Crystal Method The BlueBird Nightclub, Reno, 9 p.m.-2 a.m. Public Eye Bar of America, Truckee, 9 p.m. Smiley Joe Wiley Silver Legacy Resort Casino, Reno, 9:30 p.m.
APRIL 15 | MONDAY Bijou Bell University of Nevada Reno, Reno, 5 p.m. Karaoke Polo Lounge, Reno, 7-11 p.m. Karaoke Auld Dubliner, Olympic Valley, 8 p.m. Motown on Monday The Loving Cup, Reno, 9 p.m.-3 a.m. Bison Bluegrass Band The Divided Sky, Meyers, 9 p.m.
APRIL 17 | WEDNESDAY Ike and Martin Sugar Bowl, Norden, 3-6 p.m. Galileo, Stars in His Eyes Incline Village Library, Incline Village, 4 p.m.
Luke Stevenson Lone Eagle Grille, Incline Village, 6-10 p.m. Classical Open Mic Goose & Chey’s, Tahoe City, 6-8 p.m. Wednesday Night Showcase Ceol Irish Pub, Reno, 7 p.m. Open Mic w/Greg Lynn Red Dog Saloon, Virginia City, 7-10 p.m. The Illusionists Eldorado Resort Casino, Reno, 7-8:30 p.m. Swing Dance Za’s Lakefront, Tahoe City, 7:30-9:30 p.m. Jon Stringer Silver Legacy Resort Casino, Reno, 7:30 p.m. Live Music McP’s Irish Pub, South Lake Tahoe, 8 p.m.-12 a.m. Murs, Locksmith, Cojo Jub Jub’s Thirst Parlor, Reno, 8:30 p.m.
“In general, I’ve been influenced by Sweden’s humanist values. From my second album on, I’m not just writing about my own personal demons, but looking at our collective struggles and topics that deal with humanity now.” –José González Chicken Bingo w/ DJ Finger Lickin The Loving Cup, Reno, 9-11:30 p.m. Country Line Dancing/Karaoke Virginia Street Brewhouse, Reno, 9 p.m.
Aries (Mar 21-Apr 20) So, spring is off to a hop more than a march. Like a rabbit enjoying the Sun and gently moving from one fresh shoot to another, the time is right to take it slow. You can still get things done, yet if all you do is start a few projects and don’t finish any, you will be in alignment with the Tao. Home is not just where your heart is these days; it is where you want to be body, mind, and soul, too. Taurus (Apr 20-May 21) You are in an industrious mood. You feel determined to manifest plans and visions that have been brewing for some time. All being well, these represent creative goals. It may be that you want to finish what was started earlier or bring certain projects to their next level of development and excellence. Sweet dreams are sweeter when you make them real. Gemini (May 21-Jun 21) You are ready to explore new possibilities. This includes new friendships and/or creative expressions you have not made before. This pioneering exploration is both a feature of a deep process of change that has been underway for the past couple of years and more immediate influences that will synchronize with entering new territory. Cancer (Jun 21-Jul 22) More than others, you may be contending with a fair amount of weighted realities. These are probably stemming from others or outer circumstances that are undergoing a good deal of change, transformation, perhaps hardship and even death. It can feel like a large weight that you must somehow counter. Take it slow and try not to take it personally. Libra (Sep 22-Oct 22) This Aries new Moon is activating your relationships. If you have been waiting for new and true love, this could signal the window of opportunity, so you are wise to be clear with your intentions and desires. You may be feeling the urge to go on an adventure and the opportunity to do so is there astrologically, as well. If you can’t travel far, aim for exhilarating. Scorpio (Oct 22-Nov 21) Things are shaking for you on a variety of fronts. These include your lifestyle rhythms in general and your personal and professional relationships. You yearn to take risks to realize your dreams and you have quite a few brewing. Yet, to succeed, you are challenged to get clear on what and who is worthy of your commitment and time. Sagittarius (Nov 21-Dec 21) After what has probably proven to be a challenging period, despite various perks in the mix, you are ready for a new round of activity and interactions. You don’t just want to; you may need to make some moves to feel happier. You are wise to include an emphasis on your health, at whatever level doing so makes sense right now. Virgo (Aug 23-Sep 22) Aries times constitutes and deep dive for you. This time it is particularly into the waters of your subconscious mind. The goal is not simply to clear the old; it includes laying claim to hidden gifts and talents. Like buried treasure these wait to be claimed, by you. Ironically, to truly realize success with them, you are destined to direct them for the benefit of others. Aquarius (Jan 19-Feb 19) This Aries New Moon stands to manifest as a change in your perspectives to a rather noticeable degree this month. Among other things, you could enjoy a playful mood that you have not for some time. Like your Capricorn friends, you are ready for a change of scenery, rhythm, and approach. Meanwhile, big shifts are brewing close to home. Pisces (Feb 19-Mar 20) Activation of your ambitions is likely with the Aries impulse. You will feel inspired to get to the bottom of things. This can include a deep cleaning of the corners and closets. Yet, it can also manifest as taking a stronger hold of your talents and skills and especially those that are directed at financial returns. The Sun in Aries is likely serving to lift your spirits. Still, the season is probably not off to a fast start. Positively, you are busy doing inner work of some kind. This could be psychological, or physical as with cleanses, spring cleaning or renovations. Either way, you want to a breakthrough. Whatever your focus, be as gentle and forgiving with yourself and others as you can. If you see reddish fumes emanating from something, could you call them rose-colored gases? Hocus Focus differences: 1. Towel is missing, 2. Mom’s hair is longer, 3. Puddle is bigger, 4. Water in tub is not visible, 5. Snorkel is longer, 6. Soap dish is higher. richness of my culture.” –Nubbia Gamez daughter Isabella to learn how to make some of her favorite Peruvian meals. The aroma in the kitchen is rich with the sharp scent of chopped onions, chicken cooking on the stove and the sweet fragrance of fresh baked butter cookies. Nubbia’s best friend Natalia Duda is crying as she chops red onions. The women banter about food and cooking techniques as the sound of the knife thumps on the wooden cutting board. Natalia hails from Poland. She learned the art of Polish cooking from her mother; she loves eating Nubbia’s Peruvian cuisine. Nubbia’s mother is Cuban and her father is from Qatar; she was born and raised in Peru. “I am not genetically Peruvian, but I am culturally Peruvian. There are three main regions in Peru the coast, mountain and jungle and 25 regions similar to our states. I am from the coast and the two dishes we are making today are from the coast,” she explains. She is expecting 50 people for her husband’s birthday party. The menu she is preparing includes Aji de Gallina, a creamy poultry dish prepared with a Peruvian yellow chili paste, and Carapulcra, a shredded pork dish prepared with a Peruvian red chili paste, peanut butter and a Hershey chocolate bar and served with diced potatoes. Neither dish is spicy per se but will be seasoned with Peruvian spices. Nubbia starts with the Aji de Gallina. TOP: Nubbia Gamez with a plate of Aji de Gallina. A plate of Aji de Gallina; LEFT: A plate of the Peruvian pork dish Carapulcra. Place 4 cups of water and chicken breast in a stock pot and bring to a boil until chicken is cooked. Remove chicken and let cool. Reserve stock. Shred chicken into a bowl and set aside. Tear French bread into 1½- to 2-inch pieces and place in large bowl. Add milk and chicken stock. Mix well and let bread soak. Add mixture into a blender with walnuts and blend well. Set aside. In large pot heat oil, add diced onions and sauté until translucent. Add garlic and salt and cook for 5 minutes. Add Aji Amarillo Molida paste* and stir until sofrito thickens for about another 5 minutes. Add bread sauce mixture and cook for 10 minutes. Add shredded chicken and spices and Parmesan cheese. Add more milk and stock until you get the desired consistency and salt to taste. Serve over boiled potatoes or rice and garnish with chopped egg and parsley. * A substitute for the Aji Amarillo Molida is a blend of 1 yellow bell pepper, 1 orange bell pepper and 1 habanero orange chili with a little bit of canola oil. Mina Group has partnered with Vail Resorts to unveil Bourbon Pub in the Village at Northstar California. Bourbon Pub replace Tavern 6330’ in late spring 2019. Chef of the Year Granlibakken Tahoe’s executive chef, Ron Eber, has received recognition for his culinary innovativeness and expertise, and has been named American Culinary Federation, High Sierra Chapter’s Chef of the Year. TAX DAY IS MONDAY APRIL 15TH L et the ex p erien ced accou n tin g team at L u d mila CP A alleviate you r tax f ears an d an x iety. W e w ill p rovid e the most f avorab le 2 018 retu rn p rep aration p ossib le. The wines are crafted from select vineyard blocks of grapes and detailed farming techniques, just-right harvest times and winemaking decisions all driven by a vision of excellence. Cabral goes as far as to select each tree for his barrels. Troubadour Pinot Noir is as close to Grand Cru as I have experienced from California —ethereal, earthy, lithe, powerful with rose petal, mushroom and spiced cranberries, sophisticated and sultry. American Girl Rosé is full of barely ripe raspberry, dry strawberry, spice and a beautiful feral quality. You could do an entire meal with this as your wine pairing. Anne Rose Chardonnay is at once crisp, almost crunchy, yet somehow rich on the palate, with a multilayered finish; this represents the best that Russian River offers from this varietal. he had completely authentic wines inside him that had not been made — zero compromise wines made with abandon. With this mission and his family’s support, Bob Cabral Wines was born. These are the dream wines he has always wanted to make; these are his wines from the heart. Lou Phillips is a Level 3 Advanced Sommelier in Tahoe and his consulting business wineprowest. com assists in the selling, buying and managing wine collections. He may be reached at (775) 5443435 or wineguru123@gmail.com. Visit TheTahoeWeekly.com for more wine columns. Click on Wine Column under the Local Flavor tab. BAR - 4:30 p.m. DINNER - 5 p.m.
’ve heard skiing has been awesome the last few days with the incredible snow base and the sunny days. I thought about the recent cold, blowing snowstorms and how after skiing it’s good to have a nice, hearty meal — a nice, chunky pasta sauce specifically. gies. At any rate, while you are recovering from a perfect day of skiing, make a batch of chunky pasta sauce and enjoy some spaghetti to recoup some of the energy you lost on the slopes.  Smitty is a personal chef specializing in dinner parties, cooking classes and special events. Trained under Master Chef Anton Flory at Top Notch Resort in Stowe, Vt., Smitty is known for his creative use of fresh ingredients. Contact him at tmmsmitty@gmail.com or (530) 412-3598. To read archived copies of Smitty’s column, visit chefsmitty.com or TheTahoeWeekly.com. Click on Chef’s Recipe under the Local Flavor tab. Heat the olive oil and garlic on medium high just until hot. Don’t brown the garlic; you just want to release the flavors. Add the tomato products, wine, herbs and half the sugar. In another pan, sauté the onions just until they start to soften and add the mushrooms. As soon as cooked, add to the sauce and in the same pan brown the beef. Strain off the fat and add to the sauce. Add the chili paste and let the sauce simmer on low for 20 minutes with the occasional stir before adding the salt and pepper and the rest of the sugar if needed. Remove the bay leaves before serving. Feel free to add roasted or sautéed bell peppers or any other veggies you might like and drizzle a few drops of extra virgin olive oil over the top once plated. AGES 15 & UNDER, GOOD THRU THE REST OF THE SEASON. $200 for a VIP experience including full-day lift ticket, mountain tour, performance rental equipment, specialty lunch, après beverage beer or wine.